When you hear the words “flight sim”, it’s often the case that the first thing you think of is the huge, expensive joystick that flight sim enthusiasts usually have adorning their desks. The fact is, it’s difficult to picture yourself flying around with much ease using a mouse and keyboard. Thankfully, War Thunder is on its way to show us how it can be done. Developed by Gaijin Entertainment, War Thunder is a World War 2 flight simulator that allows for 32 player battles across enormous battlefields, some being even 10000km2 in size. The battles will all take place across real-life locations that were fought on in WW2, and while players fly through the air engaging in fast-paced dogfights, battles will continue on the ground and at sea, so if you fly too low down, you’re likely to get shot down by ground troops too. But perhaps I’m getting ahead of myself. First of all you need to pick from one of almost two hundred planes available, with more to be added in the future, all based on real-life planes from forces across the world. The level of detail even goes down to the engine noises, as the developers have managed to use a huge amount of the real thing, and have even gone out and recorded some of the planes’ engines. Obviously not all of the planes will have their real engine sounds attached to them, since a number of them are no longer in use or simply don’t exist anymore, but it’s a fascinating extra level of realism that takes War Thunder that bit beyond your average flight sim. In a slightly more unrealistic aspect, players can deck out their planes with stickers and decals to add their own personal flair, which is another nice touch. 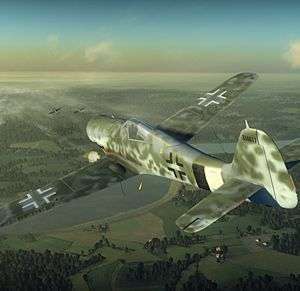 When it comes to the actual flying, Gaijin Entertainment have given players a plethora of options to choose from. You can jump into an arcade battle, where the physics are easier going and players can pit any countries planes against anyone else, so you can have Americans fighting the British and so on. For those who like their battles with a little more historical accuracy, there are the historical battles, which pit one Axis country against one Allied country, with realistic physics for the ultimate simulation experience. I was given the chance to try out the arcade battle, and, after a brief explanation of the superbly simple controls, I had the mouse thrust into my hand and away I went. The biggest selling point (if a free-to-play game can have a selling point) is the control scheme with a mouse, which the developers took pride in telling me that they were waiting for a patent on. Basically, your plane flies at a continuous speed towards a circle on the screen, which you control with the mouse. You can control your speed with the middle mouse button, which you can also click to lock on to your nearest target. Pressing the right mouse button then locks on to the target, and, finally, the left mouse button is for firing your machine guns. That’s it. It’s an incredibly easy system to pick up, and really fun to use. Within minutes of picking up the mouse, I was engaged in a fierce dogfight with an enemy plane, which I managed to evade by simply moving the mouse backwards and forwards, keeping my plane a constantly moving target and watching the bullets go streaming past. I then took a nose-dive to completely shake him, but as I came up I pulled a few too many Gs and gave my pilot a headrush, causing the screen to almost completely fade to black for a few moments, which was a lovely little detail. I then picked out an enemy of my own and got him in my sights, only to be shot down by an unseen assailant. Still, it wasn’t long before I was back into the action and getting shot down again by far more experienced pilots. Despite my inadequacy it was great fun to play, and I was a little saddened when they took the mouse off me to show me the other things they were working on. If you’re not a fan of PvP battles, War Thunder will come with its very own campaign mode, set in the Pacific, as well as single missions to be taken on in co-op with either friends or strangers. But perhaps the most interesting mode is the dynamic campaign, which presents the player with an area they need to take, and a variety of different missions to tackle in order to take control of the area. Success in each mission brings you closer to taking over, while losing one could mean that you lose the entire sector. You have limited resources as well, so after each mission you’ll learn how many planes, ships, tanks and infantry you still have remaining to take into the next battle. Losing too many of each of these aspects could spell disaster in later missions, so it’s up to you to make sure you keep as many people alive as you can to help with the next one. 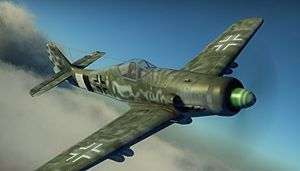 It’s an interesting looking mode, and one that could set War Thunder apart from other free-to-play games of any kind. From what I saw, War Thunder is shaping up to be an exciting and excellent game that even people who’ve never played a flight sim should try. With realism oozing out of the seams, combined with an arcade feel to rope in newbies such as myself, it’s a game that looks like it could draw in just about every gamer. There’s a beta on right now, and I would definitely recommend getting on it and giving it a go.